This is an underarm turn to the left for the ladies. The man turns the ladies underarm while doing the basic step. This is an underarm turn to the right for the ladies. One of the most basic turns in Bachata. 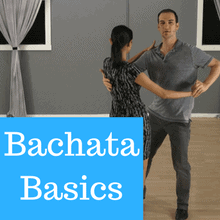 This is the most basic step of Bachata – Which is the side to side movement. Watch out for the tips at the very end of the video.